HOME DECOR HAUL & 5 GIVEAWAYS! You are here: Home › Uncategorized › HOME DECOR HAUL & 5 GIVEAWAYS! Finally sharing a small home decor haul, I’ve been slowly collecting items for our new place before we purchase our furniture. I’m loving neutrals and affordable items from the places mentioned in this video. This time around with decorating our home together, I’m big on finding things that are practical and can sometimes serve a dual purpose. Specifically in this video I’m loving the lightweight canvas frames that can grow with our family, as in items that my kids won’t outgrow too quickly in the next few years and can go with any color theme they choose in the future. Also, loving the new rug/play mat for our living room that serves as a durable playmat for the kids but also is a beautiful decorative addition to the space. Lastly the other item I wanted to highlight in this video is the “behind the door storage” I got for the girls room that is a huge space saver but is also highly functional on a everyday basis! As we add furniture and decorate more, I’ll be sure to share more videos through the process! Hope you enter this amazing giveaway for 5 lucky winners to get the mat shown in the video. Rules below…good luck!!! 4. Comment “entered” either on my video or blog post once you have completed the above requirements! *Winner will be able to choose one they want among 4 designs. 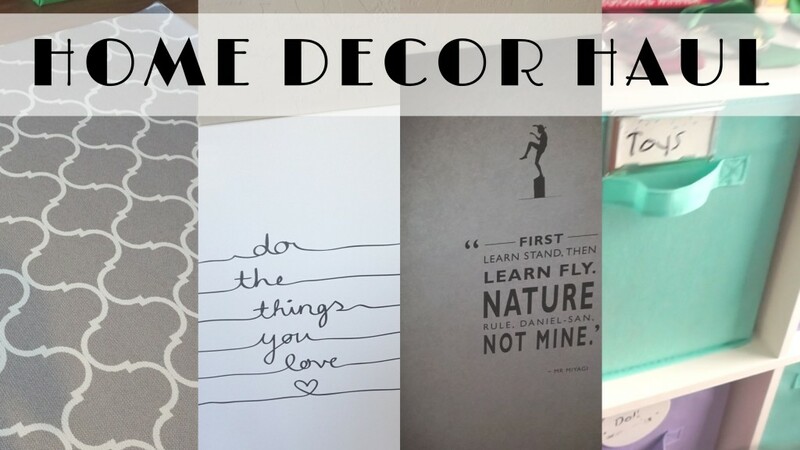 61 Responses to "HOME DECOR HAUL & 5 GIVEAWAYS!" Entered!! Love your haul and rug choice. Entered! Love this post! Your decor is looking awesome!! Entered! Thanks for hosting such an awesome giveaway! Your an awesome mom. Thanks for hosting this give away. Would love the chance to win this for my new upcoming home I am in the process of purchasing. Entered. These rugs sound so fantastic!! Entered! Hope you’ll pick me!! Entered! Thanks for the opportunity! Entered! The girl’s would love this! Fingers crossed! Entered! PS. Loooving your new living room setup Mama’s! Entered! I am mom of 3 little boys and would love to have an “adult-friendly” piece of decor for a change! Entered. I hope this comment goes through this time. Entered! These rugs/Mats would be awesome for pictures!